Schalke FC will appeal a six-game ban handed out to their striker Klaas-Jan Huntelaar following his red card in Saturday’s win over Hannover. The Netherland international lunged at Hannover’s Manuel Schmiedebach from behind, a rash challenge in the centre of the field way off the ball. The Royals finished the game with ten men after Huntelaar’s straight red card- his first ever in the German Bundesliga. They held on to three points courtesy of Marco Höger’s 32nd minute strike. Klaas-Jan Huntelaar Sent Off for the First Time in Germany. 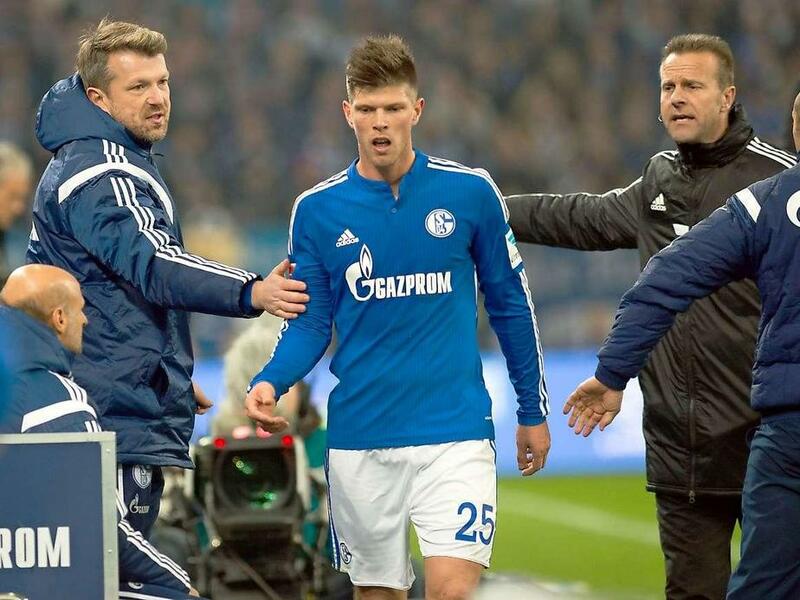 The German Football Association (DFB) on Monday issued a six-game ban for Huntelaar but Schalke say they will appeal. Huntelaar will most certainly miss Tuesday night’s trip to Bayern Munich regardless of the outcome of their appeal. He could miss games against Borussia Monchengladbach, Eintracht Frankfurt, Werder Bremen, Borussia Dortmund and Hoffenheim. Should the DFB choose not to review the decision, he will only return for the trip to Hertha Berlin in mid-March. Huntelaar is nonetheless available for the Uefa Champions League clash with Real Madrid on 18 February. Schalke are tied on 30 points with third-placed Borussia Monchedgladbach in fourth position, 15 points adrift of leaders Bayern Munich ahead of the midweek Bundesliga games. Ujiri to Return as Director of Basketball without Borders in Johannesburg. Scwarzher Signs For Chelsea FC from Fulham. Eagles Midfielder Onazi Could Miss Out of the Confederations Cup.